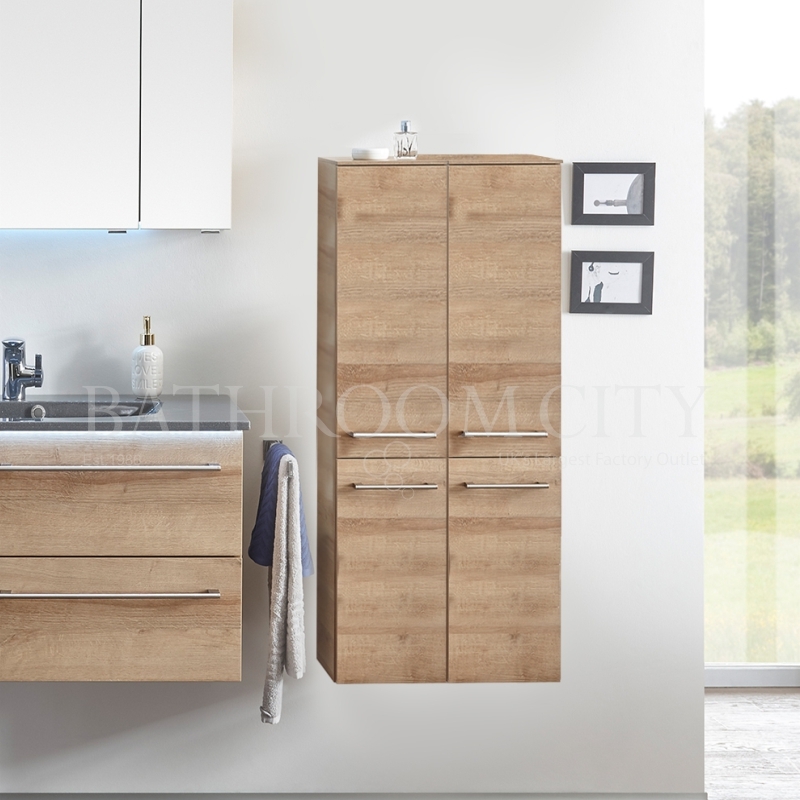 Create ample storage space and install the Solitaire 6025 Medium Bathroom Unit from Pelipal. The ideal storage solution, this striking furniture piece combining unrivalled practicality and invigorating style for the ultimate bathroom experience. Made in Germany, all Pelipal products undergo rigorous testing for a premium, durable and hard-wearing addition to your bathroom. Featuring generous dimensions, four doors and three glass shelves for a versatile bathroom unit. Choose a unit in your preferred size and finish for the ultimate bathroom experience. This easy to install furniture piece is bound to take your bathroom to the next level of both style and function.